This is knotted men jewelry - infinity necklace men, made as rope necklace of paracord rope, and decorated with a metal mini figure eight. This men necklace can be ordered with yellow brass or silver colored metal charm. 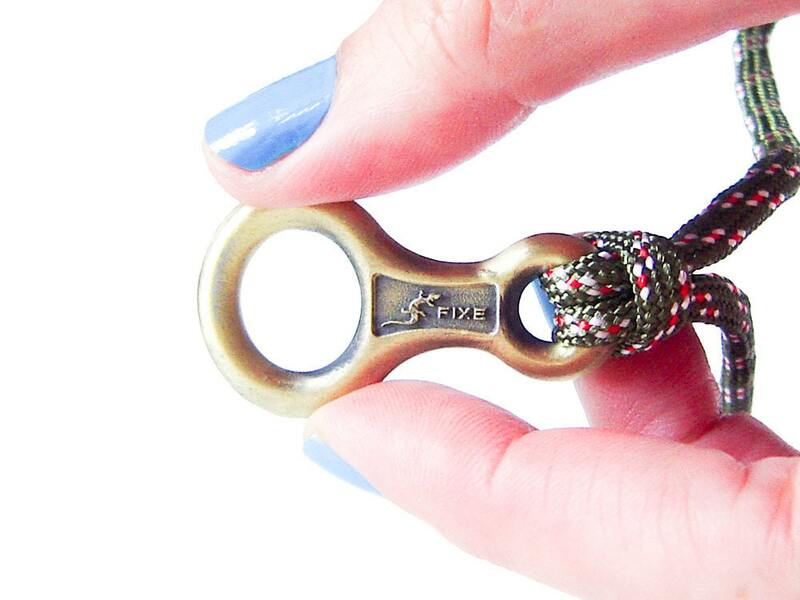 The mini figure eight is made of metal, and have a label "fixe" in both of its sides. 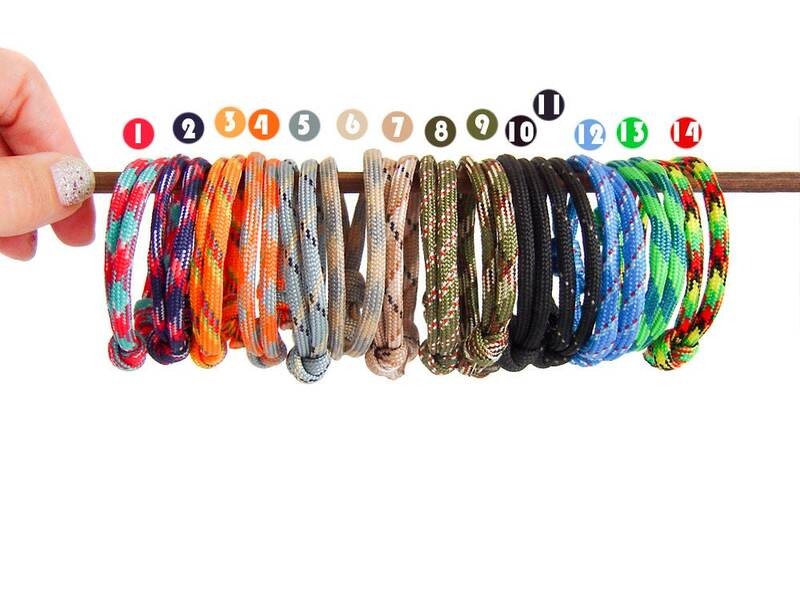 Please choose the color of the ropes for the necklace from the last picture. 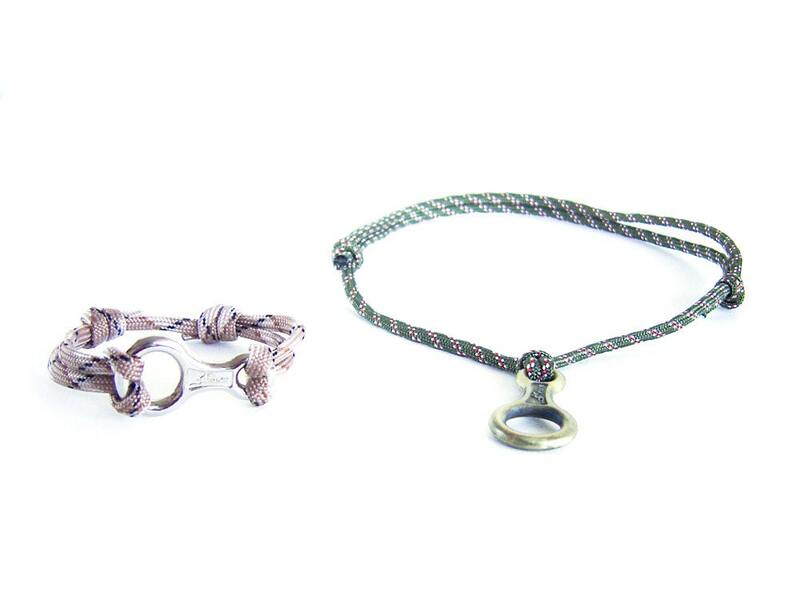 We created a rock climbing jewelry bracelets, corresponding these necklaces. 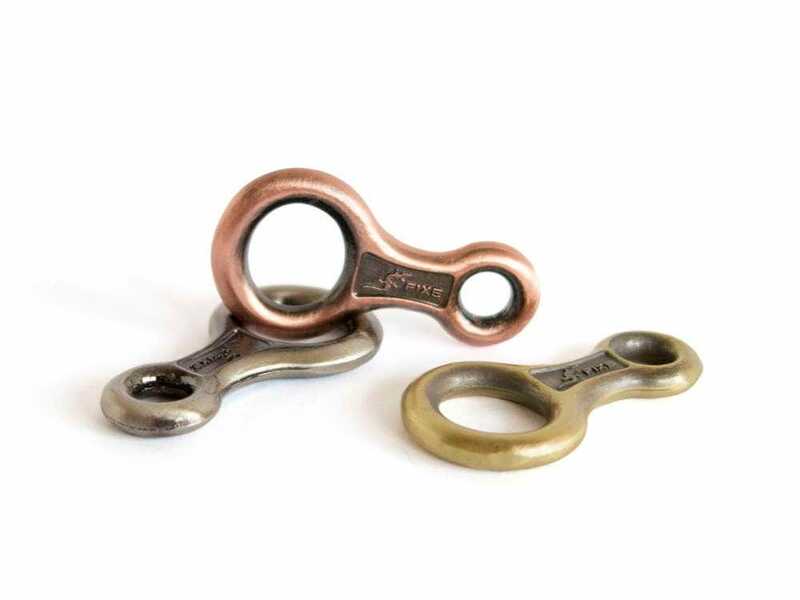 You can adjust the length of our knotted jewelry when you slide the knots. So, it fits best to both men and women. Dimensions of the mini figure 8 - 4 cm (1 9/16") long, 2 cm (13/16") wide, 0.3 cm (1/8") thick. * Min. circumference: 38 cm (14 15/16"). * Max. circumference (when opened) - 24 cm (9 7/16"). 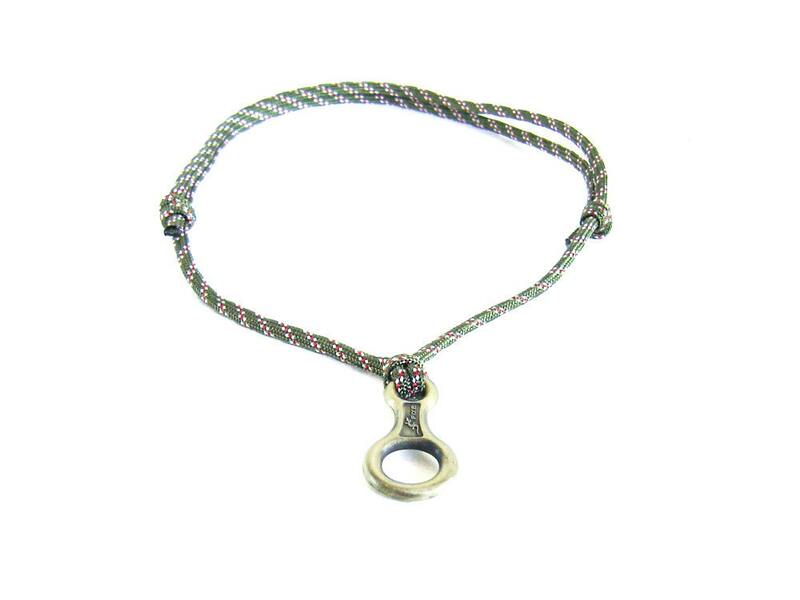 This infinity men necklace is the rope necklace, that every climber will love. It is very comfortable to wear it. You can wet it, sport with it, and wear it every day non stop. You can order this unique sport necklace jewerly gift wrapped.